Bricks, tiles, cement or wood? It sounds like a question for the three little pigs, but which materials would you use to build a house? Well, the widely-acclaimed star architect Wang Shu, whose work is being featured this spring as part of Louisiana’s exhibition series The Architect’s Studio, rarely chooses the easy option. In his bid to raise awareness of his country’s architecture, he builds extraordinary houses in his homeland by reusing material taken from buildings that have been torn down by the government. 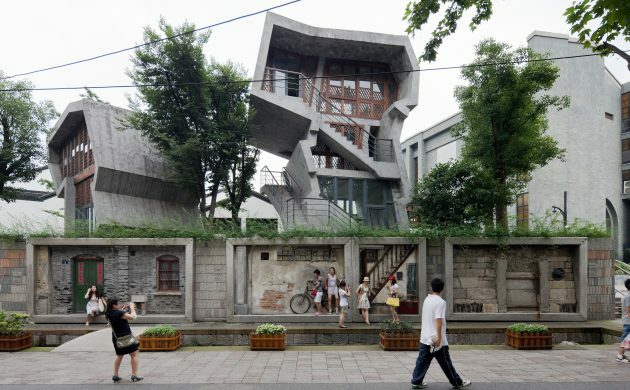 It is part of his bid to counter globalisation and escape from Western influences, which is why he co-founded the Amateur Architecture Studio in 1998 with his wife Lu Wenyu in Hangzhou. The studio has gone on to design many significant 21st century Chinese buildings such as the Ningbo Museum and the China Art Academy. In 2012 Wang was awarded the Pritzker Prize for universal and timeless architecture that is deeply connected to China’s tradition and culture. The Architect’s Studio is dedicated to architects fighting globalisation, and the line-up also includes Alejandro Aravena and Tatiana Bilbao. As well as his choice of material, Wang is well known for his spontaneity, emphasis on local culture and tradition, and critical and experimental style.